What inspired you to become a Registered Dietitian? I’ve always had an innate passion for food. I remember rushing home from school to catch the last half of Emeril Live before jumping in to the kitchen to cook dinner with my mom every night. As I became older and involved in athletics, I developed an interest not only in cooking, but in the healing power of food. As a gymnast and swimmer for over 10 years, I was constantly eating to fuel my body and realized that my curiosity towards food was more of a lifestyle than the hobby I initially thought. Growing up, I was very lucky to have parents who emphasized family meals. Despite our busy schedules, there was always time to sit down together and enjoy a healthy and home-cooked dinner. I learned from a very young age that food is healing, enjoyable, and brings people together. 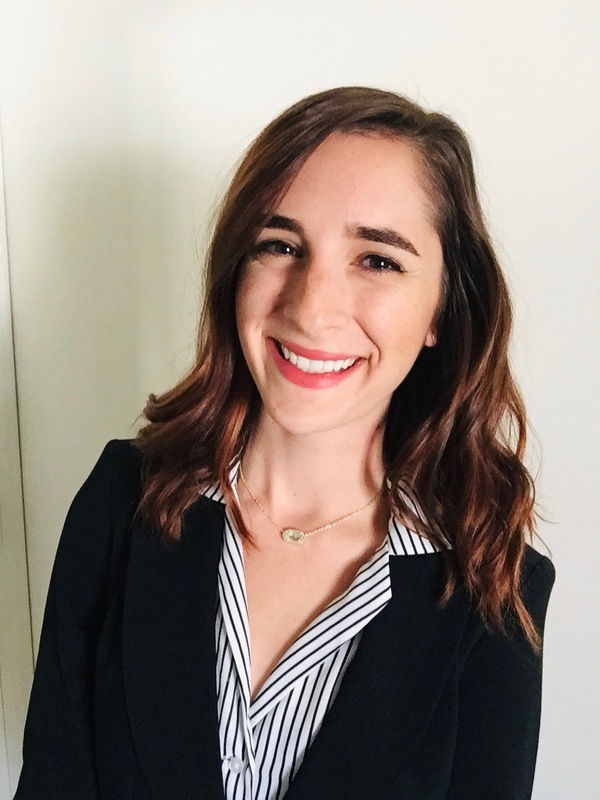 While I didn’t always know I wanted to be a dietitian, I found myself eager to share this love with others and ended up in my first nutrition class. 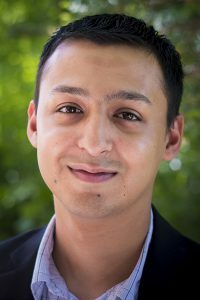 What things do you take into consideration when planning a menu for residents? When creating a menu for residents, I prioritize freshness, flavor and variety. I make sure there is something for everyone to enjoy and that our meals are both nourishing and delicious, just as food should be! My go-to when it comes to planning menus is using in-season ingredients to create the freshest and most flavorful dishes possible. I always keep in mind what I would want to eat and strive to make sure the environment is not a barrier against enjoying meals. It’s tough to be away from home. Through physical stress and hospitalizations, many of our residents can feel overwhelmed when they walk through the door. I’ve found that the quickest way to connect with people is through great food. Taking a little extra time to plan a thoughtful and delicious menu goes a long way towards helping our residents feel at home during their stay. When a resident has special nutritional requirements, how do you accommodate for those? Working directly with the residents to fulfill their individualized preferences and nutritional needs is one of the most important parts of my job. The first thing I do is introduce myself to the residents and assure them that their nutritional needs can be met. Typically, residents are eager to discuss meal preferences right away… everyone wants to know what they’re eating! Making that instant connection can really help us get off on the right foot and help new residents feel comfortable. Once the initial interview is in the books, I get to work on communicating needs with my staff and executing requests. With a full commercial kitchen at EECC, we can accommodate pretty much anything! What are some ways you provide nutritional education to residents at EECC? Educating the residents is all about individualization. While I enjoy sharing my knowledge of nutrition with others, I recognize that not everyone wants the information. The biggest misconception about dietitians is that we are here to make everyone eat their salad and skip the fries. While a balanced diet is important, it’s not everything. I love inspiring people to have a healthy relationship with food and empowering them to understand there is no such thing as the perfect diet. With regards to education, some of the residents want detailed information in scientific format. Others prefer a more casual conversation about their lifestyle and ways to achieve nutrition goals at home. I’ve even used food models to help people visualize portion sizes! 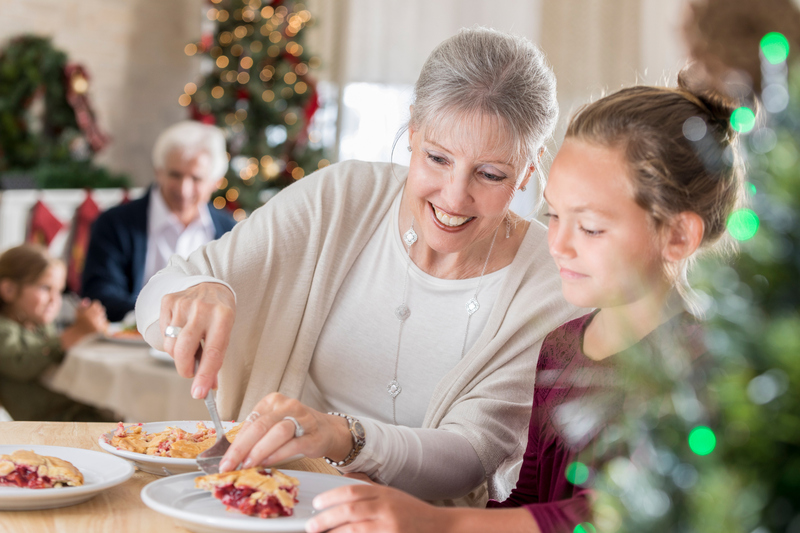 Nutrition isn’t a one-size-fits all model; Whether it is teaching someone the difference between carbs, protein, and fats, or giving detailed education about dialysis and minerals, nutrition education is intended to best serve the resident and their needs. Are there ever any circumstances where you work with family members of residents to develop a nutritional plan for their loved one? If so, what does that process typically look like? Every day! As I described above, I like to meet with new residents ASAP to discuss food preferences and address questions or concerns they may have about their meals. Oftentimes, this initial interview is in the presence of family members and friends. Connecting with the residents’ family members provides invaluable insight from the people who know them best. If a resident isn’t eating well or doesn’t seem to like the food but isn’t vocal about why, in almost every case I’m able to consult a family member to unpack exactly what’s going on. Whether it’s a missing condiment on the plate, the wrong flavor of juice, or someone who doesn’t like their food to be touching, family members are the best detectives. I often hear that the residents “don’t want to be a bother” to staff so concerns may go unvoiced. We are in business to serve the residents and working with the people who know them the best is absolutely key towards providing excellent care. What do you enjoy most about your position at EECC? While I have worked in multiple settings as a dietitian, my time at EECC has already proven to be a wonderful opportunity. My role is both challenging and fulfilling and every day brings about new experiences and opportunities for growth. I love getting to work in multiple settings on a daily basis. Seeing the residents as the dietitian to complete nutritional assessments keeps my clinical knowledge sharp and I get to learn about new trends in science and medicine. Healthcare is very fast-paced and stimulating so experiencing it every day definitely keeps me on my toes! On the other hand, I have dual responsibilities at EECC and serve as the Dining Director to take on a more managerial approach. I get to work with food safety and sanitation regulations, customizing menus for the facility and I oversee all the procurement and production of meals. Working simultaneously in both avenues is a bit uncommon for a dietitian and has been my favorite part about this role. Every day is a bit unconventional, exciting, and has made me a more well- rounded professional. Experience the Elmhurst Extended Care Center difference for yourself. Call or stop by today for a tour of our facility! When considering where to complete your short-term rehabilitation following a surgery or the best place to call home for your loved one in need of long-term care, it’s important to know that priority is placed on individual needs, not a regimented ‘one size fits all’ checklist for each person that walks through the door. 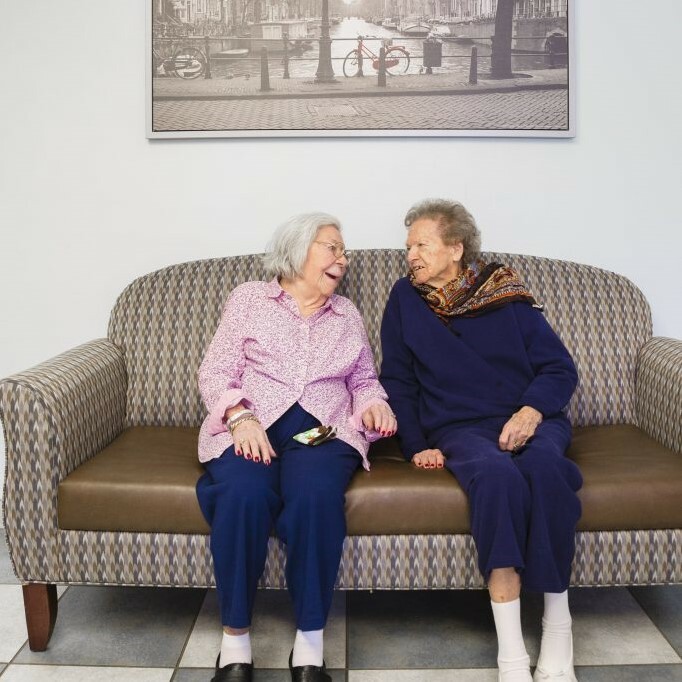 What do you enjoy most about developing care plans for each individual that comes to Elmhurst Extended Care Center? I like developing individualized care plans because it lets me get to know my patients and their history. With the diverse population we serve, it’s important to create a care plan specific to the patients wants and needs. I also enjoy creating care plans with the Interdisciplinary team. How does the process work for putting together a care plan for a new patient or resident? It starts with the patient’s hospital diagnosis and their current medication list. Each diagnosis and medication have its own plan of care. The patient is also assessed and interviewed for their preference with care and health needs. Each member of the Interdisciplinary team also creates a care plan for their respective department (Social Worker, Dietician, Activities, and Restorative Nursing). How do you deal with conflicting demands from a patient, their family, and other health care providers? We do what is best for the patient. We try to accommodate the family’s demands, but if it’s conflicting with the care then we make sure we follow the facility’s policies and procedures. We seldom have issues with health care providers. Have you ever come across a stumbling block while coordinating care for a patient? If so, how did you resolve it? There is definitely a lot of stumbling blocks in nursing. As long as nursing staff continues to provide advocacy to the patient and follow the necessary policies and procedures, then the patients get the care they need. Also, talking about the issues with the Interdisciplinary team can help brainstorm solutions. What do you think sets EECC apart from other skilled nursing facilities in regards to care plans developed for residents? Our care plan is individualized. It’s not just the care plan coordinator that creates it, but the entire Interdisciplinary team. The care plans are also revised as patient health care needs change. 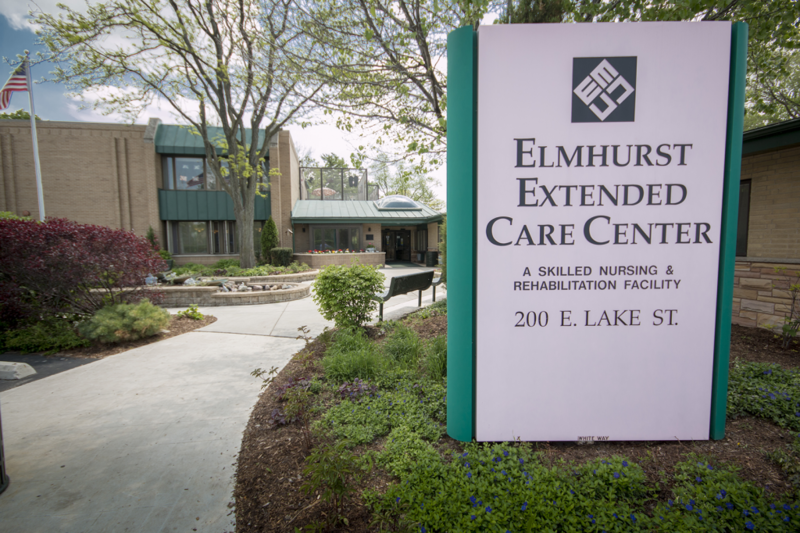 If you’re looking for personalized care for you or a family member, give Elmhurst Extended Care Center a call today. We’ll discuss how we can provide what you’re looking for in a way that is advantageous for your health, happiness, and comfort. 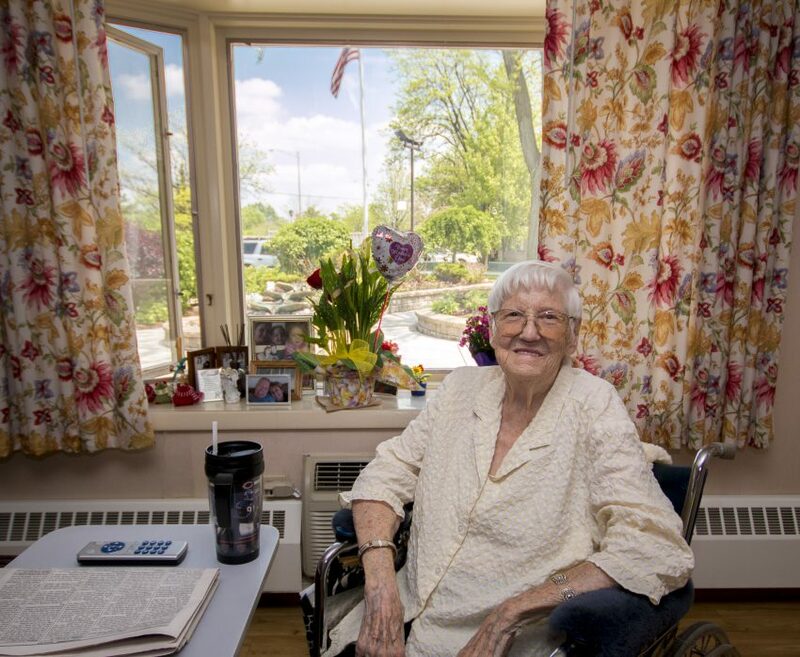 Elmhurst Extended Care Center isn’t your average, cookie-cutter nursing home. 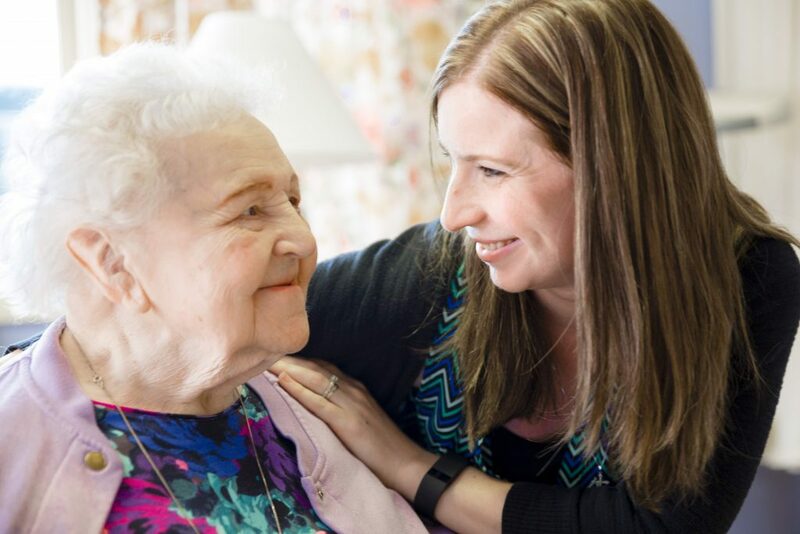 As the only family owned and operated nursing home in DuPage County, we focus on the family aspect and the compassionate, home-like environment of our facility to provide every resident and their family peace of mind in knowing they’re receiving the best possible quality care. Our staff-to-resident ratio is one of the highest in Illinois, and all of our residents receive individualized care plans to ensure both their goals, and their family’s goals, are met. Our passion for providing a skilled nursing facility for short term rehabilitation, long term care, and a memory care unit for those with Dementia and Alzheimer’s disease is reflected in that we are on the preferred provider list of many local area hospitals and have a five-star rating with Medicare – not to mention U.S. News and World Report ranked our facility as one of the Best Nursing Homes in the country. We also hold a three-year special commendation from Commission on Accreditation of Rehabilitation Facilities because of the excellence our experienced and caring staff exhibits. The rehabilitation center at Elmhurst Extended Care Center utilizes the most current medical equipment to ensure you’re able to get back to your highest level of function. We take great pride in the rehabilitation care we provide our residents, and our dedicated, in-house team of therapists has over 70 years combined experience to help you achieve improved health and quality of life. When you’re looking at short term rehabilitation, it’s important to choose a facility that will be able to handle your needs around the clock. Our nursing staff is on-hand 24 hours a day, and all our therapists are in-house – allowing you the access you need to get back up and running. We’re also Medicare certified, and our short term rehabilitation services include physical, occupational, and speech therapy. Deciding where to pursue long term care can be a challenge. That’s why we make the decision easier on you by providing a skilled nursing facility designed to give a home-like environment with private and semi-private room options priced far below other nursing home centers. We also facilitate ease of daily life by providing complete, comprehensive care including blood sugar monitoring, medication administration, laundry services, housekeeping, and assisting with meals as well as providing activity programs and amenities such as a beauty salon, patio, aquarium, and much more. We know that each person has their own set of individual needs as well as their own challenges in transitioning to a long term care facility. To make certain those are met, our team focuses on person-centered care, rather than on the facility as a whole. We’re always looking at ways to improve the quality of life for our residents – whether you’re with us for short term or long term care. Just this year, we’ve made several improvements to do just that. We now offer refrigerators in our private and semi-private rooms for short term rehabilitation patients. Our front lobby was renovated to create a reception area and admissions office to provide a more comfortable and private admissions process, and before the end of the year, we’ll have an additional dining and activities area on our secured second floor Memory Care Unit. To experience the difference our family-owned facility has to offer, check out our skilled nursing facility, and give us a call or stop by for a tour.